Are You Ready to Conference? To paraphrase a memorable line from the movie, The Graduate, "I just have one word for you — conference." Okay, maybe it's not as memorable a word as "plastics," but conference still has a nice ring to it. Especially when you see the line-up for this year's 1-day conference scheduled for Saturday, May 17 at The Players Community Senior Center in Ponte Vedra Beach. We're calling it Swing for the stars–Be the best writer you can be since The Players Community Senior Center was paid for in large part by a grant from The PGA Tour. But more than that it's a call to all writers to open themselves to the possibilities available when we prepare for success. And success is what we have in mind with workshops covering everything from avoiding common blunders that many new writers make to finding innovative ways to market your books. In the morning, you'll hear a keynote address from award-winning short-story author Philip F. Deaver. 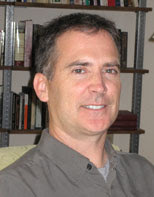 Deaver is Writer-in-Residence at Rollins College. He's the 13th winner of the Flannery O'Connor Award for Short Fiction and has held fellowships from the National Endowment of the Arts and Bread Loaf. Later in the day, he'll talk about how to identify the story hiding inside each of us in a workshop entitled, "Three Hours to the Story of Your Dreams." At lunch, Jack McDevitt will take the mic to tell us, "Emerson's right: Learn to Believe in Yourself and You Can Do Anything." 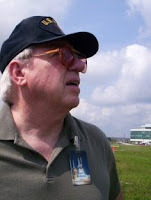 An acclaimed science-fiction author, McDevitt is a former English teacher, naval officer, Philadelphia taxi driver, customs officer, and motivational trainer. His work has been on the final Nebula ballot ten of the last eleven years. In a later session he'll give a talk I wish I'd heard years ago: "How To Guarantee Rejection: Common Blunders by New Writers." For those of you thinking of dipping your toe into independent publishing waters, Pamela Bauer Mueller and her husband Mike will share their secrets of success. Our final session will be a general one as we read submitted first pages and hear on-the-spot constructive criticism by a trio of talented authors. But that's not all. If you're among the crowd, you'll be the first to hear us announce the winners of this year's Lighthouse Book Awards Competition. You don't have to be present to win, but recognition is so much better received in person. Go to http://www.windrusher.com/Conference.html for all the details including a conference schedule, a list of the presenters and that all-important registration form. Remember we were forced to close registrations early last year because we had more people than we could handle. The deadline for early registration is April 30 so don't delay in sending in your registration. Now let's look at what our NE Florida FWA Chapters have to offer this month. River City Writers meet on the second Tuesday of the month, March 11 at 7PM at the SE Branch Library. This month's speaker is award-winning writer, producer, director, editor, and actor John Boles who will offer insights on Screenwriting for television and the cinema. John is a popular workshop presenter and has led an independent Screenwriting Workshop Group for the past five years that has nurtured more than a dozen talented screenwriters. Contact group leader Judy Connolly at judy.connolly@comcast.net for more information. Ancient City Writers meet on Saturday, March 15 at 10AM at the St. Augustine Main Library with an intriguing topic for new novelists. Author and marketing coach Rik Feeney challenges you to write your book in 60 days. If you are struggling, he'll provide you with the tools needed to complete it within 60 days. He will show how to use the "Top Ten Writing System" to break a book down into byte-sized chunks that are easy to accomplish, and depending on the determination and desire can help you write a book within sixty days or less. Note that the 60 day-deadline ends the same day as our May 17 conference and we'd love to acknowledge who has actually completed the minimum 65,000-word novel. If you're interested, go listen to Rik, and register with Jeff Swesky at sweskys@comcast.net. Amelia Island Writers meet on the third Tuesday of the month, March 18 at 6PM at the Florida House Inn in Fernandina Beach. Novelist Terri Ridgell will discuss one of the key rules of fiction writing — "Show don't tell." Terri is also the executive director of the Amelia Island Book Festival, coming October 3 - 5. Contact group leader Maggie de Vries for more details at maggie1948@yahoo.com. Ponte Vedra Writers meet the fourth Saturday of the month, March 22, at 10AM at the Ponte Vedra Library. Michael Wiley, author of The Last Striptease (winner of the Private Eye Writers of America/St. Martin's Press Best First Private Eye Novel prize), will talk about writing first chapters and about how how first chapters can open the minds and checkbooks of agents, publishers, and readers -- or close them. Note that there will not be a meeting of the Ponte Vedra Writers next month because it falls on the same day as Much Ado About Books. FWA will have a table there and I'll be looking for a few volunteers to help staff it. The Society of Children's Book Writers and Illustrators (SCBWI) is meeting on Saturday, March 15 from 1-3, at the Southeast Regional Library. Robyn Gioia, a reviewer for The School Library Journal, and an award-winning author of a nationally recognized and controversial book America's Real First Thanksgiving will speak. For more information, check the website at http://home.comcast.net/~janwalt/scbwijax.html or contact Janet Walter at jgwalter@comcast.net. Back in St. Augustine, the Ancient City Writers present another in their Writer's Journey series in cooperation with the Friends of the Library. This one is called "Murder They Wrote" and focuses on—what else?—mystery writers. Panelists Mary Anna Evans (Effigies) detective is an archeologist, Rene Fix (Informed Consent) writes legal thrillers about an attorney, Michael Wiley’s (The Last Striptease) is a private investigator, and June Weltman’s is a teenage sleuth in The Mystery of the Missing Candlestick will talk about their detectives, the crimes and clues they create that make for exciting novels. Take a clue and mark your calendar for Sunday, March 30 from 2:00 to 4:00 p.m. at the main downtown library at 1960 N. Ponce De Leon Blvd. They will be signing their books following the discussion and a portion of the proceeds benefits the FOL. Progress is being made for the launch of the newest book festival in NE Florida. The Florida Heritage Book Festival, September 12 & 13, will celebrate Florida authors or those who write about Florida. Friday's first edition features a writer's workshop at the Casa Monica Hotel in St. Augustine, following by a Meet the Authors Reception that evening at the Markland House on the Flagler College Campus. Saturday's schedule will feature author presentations, panel discussions, poetry readings and children's events. Although the website is not yet complete, check out details on http://fhbookfest.com/. A fundraising dinner is planned for Thursday, March 20 at Amici's Italian Restuarant in St. Augustine. Tickets are $25 each. If you'd like to attend and support the festival, please contact Marie Cashat at reejoice@bellsouth.net. As mentioned before, Much Ado About Books falls on the same day as our April Ponte Vedra Writers Group meeting. We'll cancel that meeting and encourage everyone to attend MAAB. Along with Carl Hiassen and R.L. Stine (who appears on Friday for a special Young Writers presentation) are Steve Berry, The Venetian Betrayal, Random House, Tim Dorsey, Atomic Lobster, Harper Collins, Deborah Johnson, The Air Between Us, Harper Collins, William Dietrich, The Rosetta Key, Harper Collins, and Rody Johnson, The Rise and Fall of Dodgertown, University Press Florida. Again, please let me know if you can hang out at the FWA table for an hour or two as we spread the word about FWA here in NE Florida. Sisters in Crime meets at 10:00 a.m. on the first Saturday of the month at the Southeast Regional Library, 10599 Deerwood Park Blvd. Brothers and Sisters in crime gather to gain insight into criminal elements useful for their mystery writings. The Writers' Critique Group meets immediately following the monthly meeting at 12:00. Contact President Darlene Myers, dfm1973@comcast.net, for more information. Rodney Hurst, author of It Was Never Just about Coffee and a Coke, will speak to the FCCJ North academic community at 11 a.m. Mar. 19 in Room E-235. At 2 p.m. Saturday, Apr. 12, he will speak to the North Florida Writers at the Webb Wesconnett Library (103rd St. and Harlow Blvd.). The public is invited to attend both events. When he was eleven years old, Rodney accepted the invitation of his American History teacher Rutledge Pearson to join the Jacksonville Youth Council NAACP. The book recounts the events leading up to and the fallout from the bloody events of Aug. 27, 1960, in downtown Jacksonville when black youth who had been staging sit-in demonstrations at downtown lunch counters were set upon by 200 whites wielding ax handles and baseball bats. Douglas Anderson School of the Arts is hosting its annual Writers’ Festival on March 15, 2008. This all-day celebration of writing will include hands-on workshops and an evening reading by former Poet Laureate Billy Collins. Other daytime workshops include award winning poet and writer Diane Glancey (American Book Award, the Minnesota Book Award in Poetry, the Native American Prose Award and a Sundance Screenwriting Fellowship), playwright Jackie Reingold (currently on the writing staff for Law and Order), journalist Anne Driscoll (People Magazine contributor), young poet Billy Merrell (who at 22 was the youngest author to be published by the PUSH imprint of Scholastic for Talking in the Dark), writer/performer Al Letson (one of three national finalists currently in contention for NPR’s new programming slot), and a host of other writers and publishers who have agreed to participate. For more information: http://www.dawritersfest.com/. First Coast Romance Writers, a chapter of the Romance Writers of America, is hosting the 15th annual Southern Lights Writers Conference Mar. 28-30 in Jacksonville at the Marriott at Southpoint. Editor/agent appointments will be available with representatives from Berkley, St. Martin's Press, Ellora's Cave/Cerridwen Press, the Highlands Press, the Axelrod Agency, the Knight Agency and Caren Johnson Literary Agency. New York Times best-selling author Suzanne Brockmann is the keynote speaker on Saturday, March 29. For more information, go to http://www.firstcoastromancewriters.com/. Praised for the moving quality of his prose, Jacksonville novelist Charles Martin discusses his fifth literary novel, Chasing Fireflies–A Novel of Discovery at the Ponte Vedra Library's Book Talk Cafe program, Monday, March 24 at 6:30 p.m. The program is free and open to the public.